We now have a concise summary of what is involved with ClearCorrect (including an external link to more information)! We now have a summary of what is involved with Zoom! professional teeth whitening (an external link)! Instead of our former biweekly e-newsletter, we use Facebook posts, Twitter tweets and the occasional e-mail or blog to provide up-to-date practice information and the latest dental health care news, stories and humor . If you have any suggested topics for these communications, you can contact us from our website or respond when you recieve an e-mail. Our team strives to improve your health and quality of life by focusing on the preventiion, diagnosis and treatment of conditions associated with your teeth and gums. To supplement our personal care and practice newsletter, we purchased access to an online dental education library to help you learn more about dental problems and available treatments. To access its content, just click on the selections near the top or on the left side of this page. 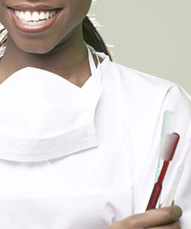 Thank you for your interest in learning more about dental health care! Your increased dental knowledge will help us have a more effective partnership in meeting *your* dental health care needs. Does mercury in the silver fillings in your mouth pose any long-term health risks? Does fluoride, in spite of everything we've been told since childhood, actually cause more harm than good? What does the latest research reveal about tobacco use on your overall oral health? This section is dedicated to the latest information about these and other oral health topics, pulled from authoritative sources such as the American Dental Association. Click here for the latest news from the American Dental Association.